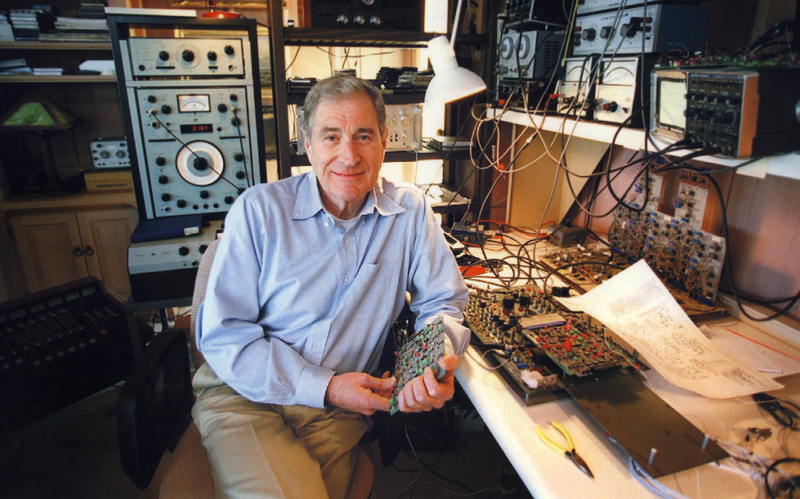 Dolby Laboratories founder Ray Dolby died today in San Francisco at the age of 80. He'll be remembered as the man who made the movies sound as spectacular as they look. Today, his technology is used in basically every movie theater in the country. Dolby was born in Portland, Oregon 1933. He earned a BA in engineering at Stanford in 1957, and moved to England where he earned a PhD in Physics from Cambridge in 1961. In 1964, he founded Dolby Labs. The company's early work focused on a professional noise reduction system for magnetic tape audio recordings. This tech made a huge impact on sounds that people heard all the time, but soon, his name would be written all over the movies they were watching in an unforgettable way. In the 1970s, Dolby Labs developed an analog system for multi-channel sound playback for film, which was eventually dubbed Dolby Stereo. The key innovation was the addition of center and surround tracks to film sound tapes, which could be played back in addition to the traditional stereo mix, if the theater was properly equipped. These days, he's probably best known for the consumer version of the technology, Dolby Surround, which was first introduced in 1982. In recent years, Dolby Labs' innovations have extended into the world of ones and zeros. Dolby Digital encompasses a series of codecs for digital audio that are used by everything from Blu-rays to Netflix. You basically can't make a consumer product larger than a smartphone without a Dolby Digital decoder. Last year, Dolby debuted Atmos, an unbelievably immersive cinema sound technology, which allows sound mixers to pin-point audio "elements" to individual speakers in a theater. The system is being rapidly adopted in movie houses across the world, and basically every major blockbuster has a Dolby Atmos sound mix. Dolby's name isn't just one of the most recognizable in the world of movies—it's also amongst the most important in its history. Our condolences go out to his family and friends.